William J. 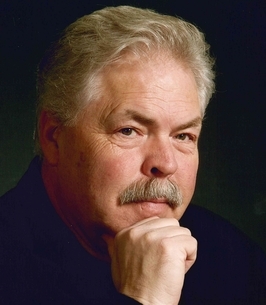 (Bill) Michels was born on August 22, 1947, in Williston, North Dakota and passed away on October 9, 2018, at Riverstone Hospice House in Billings, Montana. He was the oldest of four children born to Mark and Marge (Steele) Michels. He was raised in Medicine Lake, Montana, graduating from Medicine Lake High School in 1965. He attended Eastern Montana College and Miles Community College before attending the San Francisco College of Mortuary Science; graduating in 1970. He worked as a funeral director and a hairdresser in California before returning to Billings in 1983 where he continued to work in the funeral and hair business for many years. Bill’s passion was serving in the music ministry at his church. He had a beautiful singing voice and felt blessed that so many called on him to sing for funerals and weddings. His health began to decline the last few years and he became more and more confined to his home. He thoroughly enjoyed the many faithful friends that called and visited him. His quick-wit, beautiful voice, and sincere friendship will be dearly missed. Bill never met a stranger with whom he hesitated to engage in conversation nor did he mind letting someone know if he disagreed with them. But, most importantly, he loved his friends and family beyond measure. In August, Bill moved to Riverstone Hospice House where he was lovingly, gently, and respectfully cared for by some of the kindest and dearest people we could ever meet. As his family, it was difficult to not be with Bill during his illness, and we can never thank the nurses, staff, and volunteers at Riverstone Hospice House and Bella Terra Nursing Home enough for the outstanding care provided to our brother. Last, but certainly not least, we owe a debt of gratitude to the many friends and family who richly blessed Bill with your visits, calls, prayers, and concern these past few months. He was and we are truly grateful. Thank you all! Bill was preceded in death by his parents and sister, Peggy Michels. He is survived by his sister Elizabeth Neuhardt (Ellis) and his brother, Scott Michels (Karen) both of Las Vegas, NV. His nephews, Mark Neuhardt of Las Vegas, Andrew Neuhardt of Billings, MT, Cole (Lexi) and Chance Michels of Las Vegas. His niece, LeDawn Michels Bickham (Bryan) and her children Dominic, Jayden, Harper, and Remy of Billings as well as several extended family members. Bill was blessed with friends too numerous to count. His dear friend, Laverne Smith was always there for him and she and her family included him as a part of their family the past several years. They blessed his life beyond measure and Bill adored them. Visitation will be at Smith’s West Chapel on Sunday, October 14, from 4-8pm. Funeral Mass will be Monday, October 15, at 10am at St. Thomas the Apostle Catholic Church in Billings. To plant a tree in memory of William J. "Bill" Michels, please visit our Heartfelt Sympathies Store. Bill was a year behind me in high school. I am the sister of Jens and Craig Nielsen. Bill and I were good friends and loved to dance and enjoy a good joke. I talked to Bill about a year ago and we enjoyed a few laughs. We laughed that he was an "Ician" (a musician, a beautician, a mortician and a magician!"). To Bill's family, please accept my condolences. He will be my missed. RIP dear Bill.